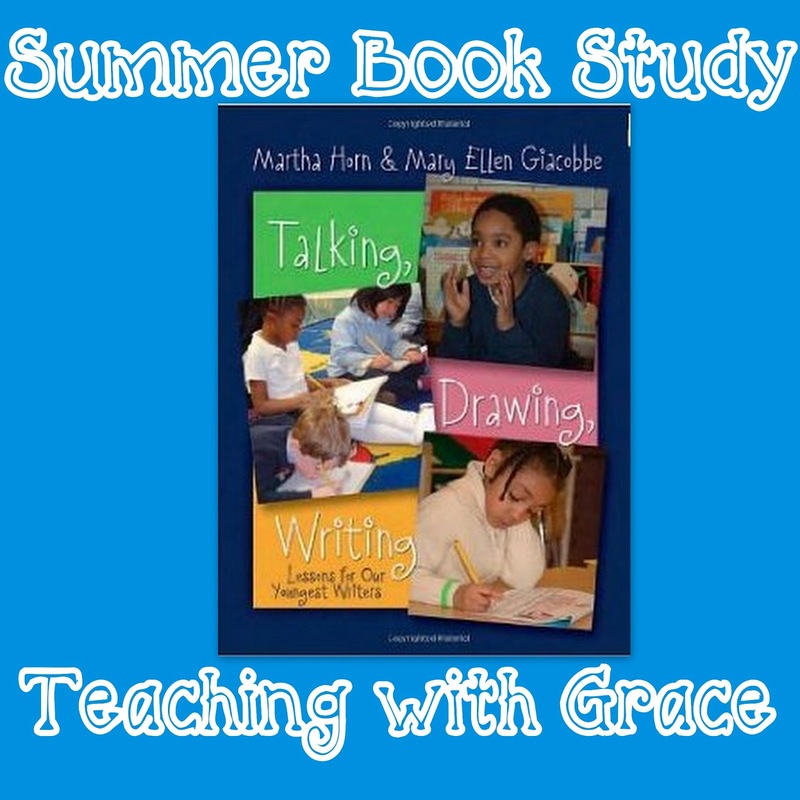 I'm so excited that we have done this wonderful book study together this summer! I even have a little treat for you at the end of this post so don't miss out! Each week you pick a sentence that is going to be found in a book that you will be reading that week (integration). It's really great if you are able to focus on a particular craft lesson for the week as well. 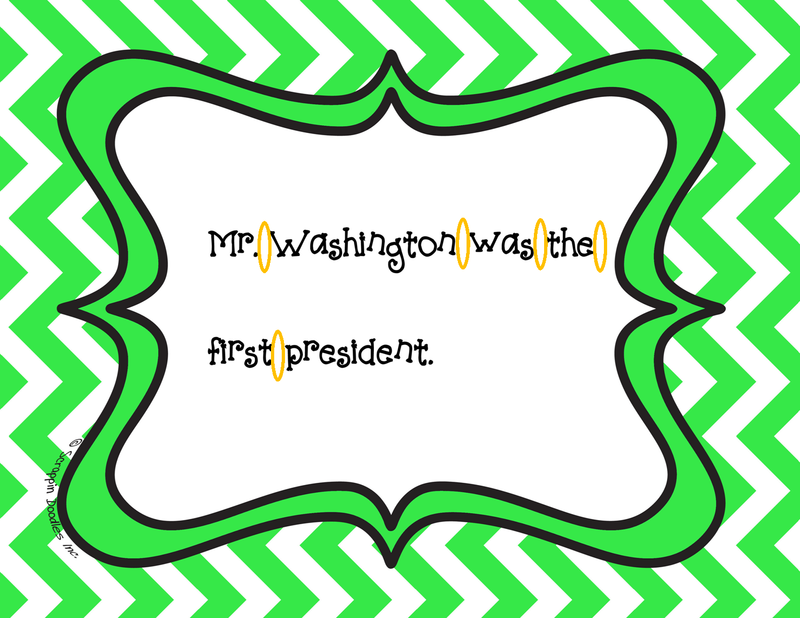 Day 1: Show the sentence to the students and ask them what they notice. In Kindergarten, we focus on spaces, punctuation, upper case/lower case, and other fundamentals of print. 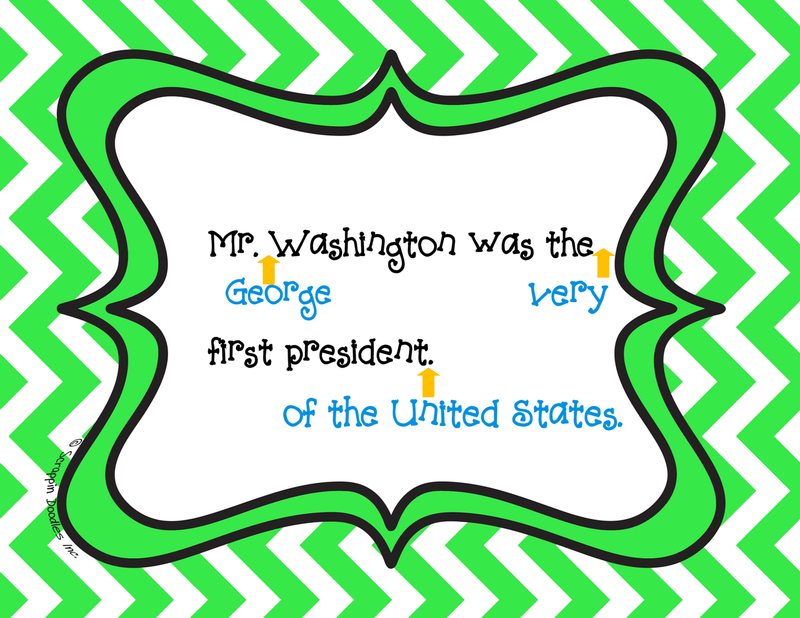 Make sure to use different colors for each type of noticing that the students do. It can get very, very confusing! I also make a list on the chart paper below the sentence. Day 2: Have the students make the sentence better. Below I have some of the ideas that my students came up with last year. This is a great reason to have the sentence from your Science or Social Studies.. your kiddos will show you what they know! Day 3: Students write their own sentence! Since we don't start Mentor Sentence until January this is totally age appropriate for most of the class. If you have some strugglers, differentiate by giving them a sentence starter that matches your sentence. " 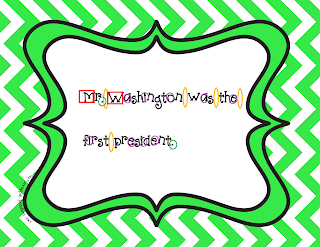 Mr. Washington was ________________." In upper grades you can also include a Day 4 for testing genre practice. Definitely helps those ELA scores improve you do this every week! I typically just have my students work along with me on the chart paper. But one or two more daring Kindergarten teachers have had their students post their sentence in a Mentor Sentence journal that they use so the students can follow along with them. I might just be adventurous to attempt that this year.. Not sure yet though. At least I have until January to decide! Don't forget about the treat! 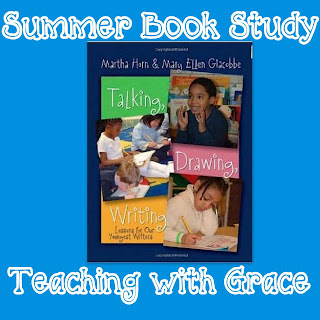 Next week will be our very last week with our book study. I'm sad :( But I am so excited about writing this year! How about you? Well, to kick off the start to a great new year.... I'm offering up three Starbucks cards! Fill out the rafflecopter below to enter. You have until August 4th to enter! I like the Iced lattes with one pump mocha (I don't like it very sweet) and I'm a push over for the orange, cranberry scones! I like the steamers? I think that is the name....anyway, I now realize why people used to drink warm milk before bed. Love the idea of using different colors for what they noticed in the writing! I order a Venti skinny carmel macchiato extra hot. During the holidays my drink changes! I love the mentor sentences!! My favorite is the Java Chip Frappuccino!! I am so boring! My fav drink is a vanilla nonfat latte! I love the Caramel Ribbon Crunch frap. I like the idea of using different colors to accent the different features of print. We do that. I also like to ovals to show spacing. That's still a problem in second grade. I love the mocha frappacino! Grande non-fat, no whip vanilla mocha!!! Starbucks' Green Tea Frappucinos are delicious. I love a good caramel macchiato or a black & white mocha! YUM!! I love a Coffee Light Frappucino or if I want hot then a White Mocha!! I LOVE their Java Chip Frappuccinos in the summer and white mochas in the colder months! Thanks for the giveaway! I like the kids Strawberry drink hahaha I can't think of the exact name--but it is like a strawberry smoothie! So yummy! I love the French Vanilla Latte!! Black coffee. Straight caffeine with nothing fancy!